THE Canal & River Trust is today letting boaters know the changes it will be making to boat licensing following its consultation. To be phased in over five years from April 2019, the changes aim to ensure the financial contribution made by boaters towards the cost of looking after the waterways is spread fairly across the boating community. The headlines include the news that an additional charge, of up to 20%, will be levied on wider boats, to be phased in over the five years. There will be three pricing bands for boat width in addition to the existing bands for boat length, which remain unchanged. Boaters who currently receive a prompt payment discount will see that retained but at a reduced discount and, from 2020, part of this discount will apply for those who manage their payments online (for example by credit/debit card or by direct debit). 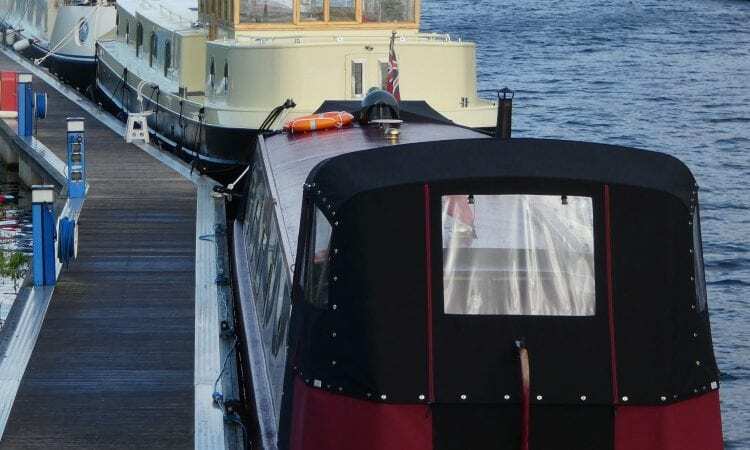 With the exception of the discount for electric boating, which will be reviewed to see if it can more explicitly encourage greener boating, all other discounts available, including for historic boats, charity boats, and unpowered butties, will remain unchanged. There will be no difference in licence fees for boats without a home mooring. Instead, the Trust will be undertaking further work to develop a fair means of reflecting the benefits experienced by boaters without home moorings who remain in the most popular places like London. Jon Horsfall, interim head of boating at the Canal & River Trust, said: “The current licensing system has remained largely unchanged for more than two decades and there have been many changes to the waterways, and to boating, in that time. “There were over 11,000 submissions to the consultation and I’d like to thank each boater who took part. Ultimately, we’ve aimed to make sure the financial contribution made by boaters is spread as fairly as possible across the boating community. “We are going to phase the full scope of the changes over a five-year period so that there is no sudden impact on any group of boaters. Changes will be phased over five years, with no changes before April 2019. Current length bands remain the same, and three width bands will be introduced: Band 1 being 2.16m (7ft 1”) and below; Band 2 being over 2.16 to 3.24m (7ft 1” to 10ft 7¾”); Band 3 being over 3.24m width (10ft 7¾”). The two wider bands will attract surcharges rising to 10% and 20% respectively, phased in over four years from April 2020. The prompt payment discount will be reduced to 5% in April 2019. From April 2020 the structure of the discount will be changed so that a 2.5% discount will be offered for prompt payment in full, and a 2.5% discount for those using automated payment methods (including monthly direct debits). All other current discounts remain unchanged, with a planned review of the criteria for the electric boat discount. One-day licences will be withdrawn while all other short-term licences will be retained. No link between mooring status and licence fees, but a further review is planned to establish how the significant growth in some popular locations can be addressed. Next Post:April 2018 issue out now!